NZXT presents the Hale82, a new series of modular power supplies with 80Plus Bronze certification. 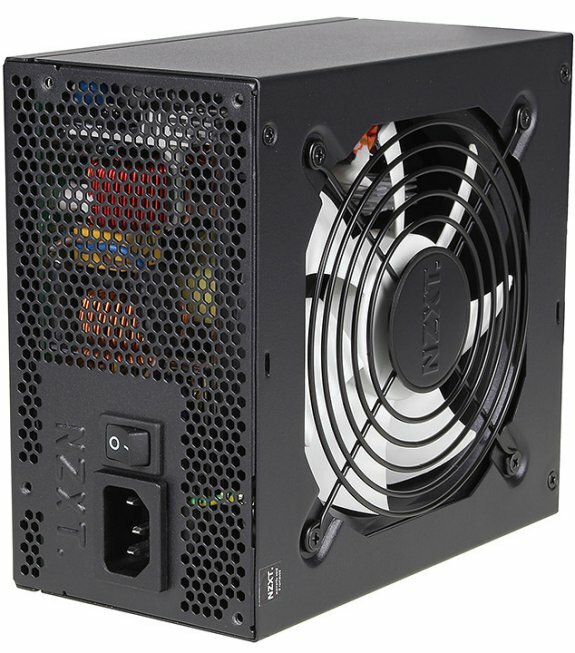 Case specialist NZXT presents their newest line of modular power supplies with the Hale82 units. Consisting of three different versions with 650, 750 and 850 Watts along with 80Plus Bronze certification, these offer a great value with uncompromising performance. With their black housing and cables, the Hale82 goes perfectly with the many black cases out there. With the first power supply series - the Hale Power 90+, NZXT answered to the demand of the users by offering an extremely stable and high-efficient power supply with the coveted 80Plus Gold certification. On top of that, being modular ensures a clean case interior, as the user may only use the cables needed. This reduced cable clutter also improves the internal cooling, as nothing obstructs the air flow. The new Hale82 units also offer a similar cable management, including the use of the special, flat cables for easy routing within the confines of a chassis. The line-up consists of a 650, a 750 and an 850W variant to meet the different needs of the consumer. As the name suggests, the Hale82 series offers an 80Plus Bronze certification with 82% efficiency at 20 percent or full load, and 85% efficiency at 50 percent load. Even so, the units include only the highest quality components. All capacitors within the Hale82 units are made in Japan, which ensure that the power supplies deliver a stable stream of power to the internal components. This, in combination with the long list of well engineered protection implementations allow for up to 70 Amps to be delivered within the 850 Watt variant for example. In addition, a 120 mm ball bearing fan has been included, which is not only extremely quiet, but also keep the Hale82 units cool. In terms of cable management, the new Hale82 offers the utmost flexibility, as only the necessary leads, the 20+4 pin ATX12V, 4+4 pin EPS12V & up to four 6+2 PCIe, are firmly attached to the unit. All other cables can easily be attached to the separate connectors present on the power supply itself. In addition to the firmly attached ones, the PSUs ship with the following modular cables: one additional 8-pin EPS12V, one 6+2-Pin PCIe, two SATA power cables with four connectors each, along with a pair of cables with three Molex connectors a piece. Thus, NZXT offers an excellent choice for all who want a high quality power supply at an affordable price point and an impressive 5 year warranty.